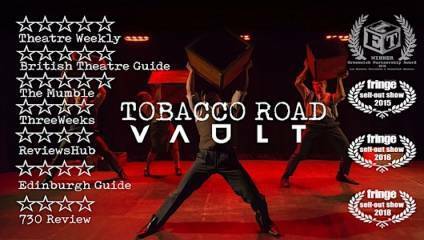 Through explosive physical style, Tobacco Road tells the story of five resourceful young men and women attempting to carve out a place in the murky underworld of 1920s London. In the wake of the Great War, can they find the fame and wealth they crave or will their desperate need to belong lead to disastrous consequences? Visit the VAULT Festival website to find out more and book tickets.